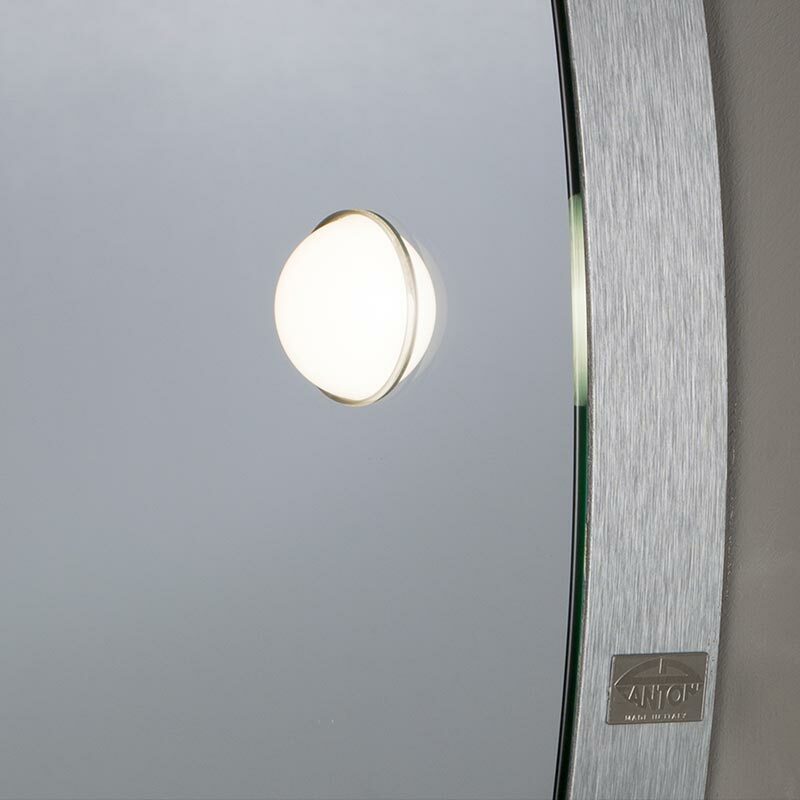 Beyond the lighted mirror is an innovative lighting system designed to create stunning bathrooms. 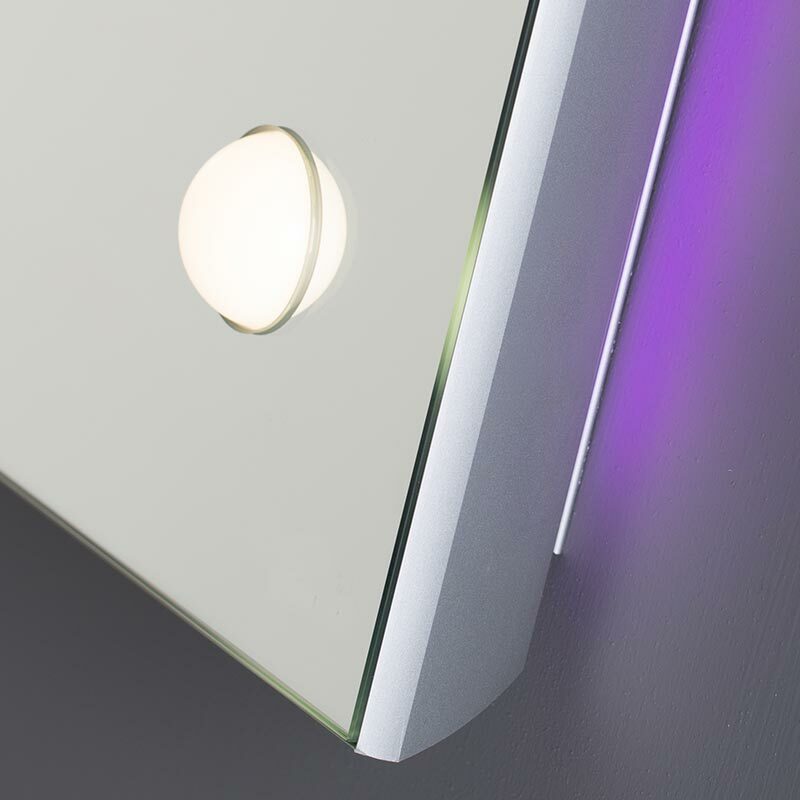 Cantoni has conducted research into aspects related to the appearance and form of the product, alongside continuous technological research: this has led to the creation of the I-light, a patented lighting system that is unique in the world, which Cantoni installs in all of its mirrors with lights. The light points created by professional diffusive lenses set into the surface of the glass generate bilateral light, which caresses and envelops the figure. It is perfect for body and facial treatments. The backlighting, which is completely independent from the front lighting from the lenses, creates a charming and relaxing atmosphere. The high quality of the mirrors used makes them ten times more resistant to corrosion and humidity than standard mirrors. 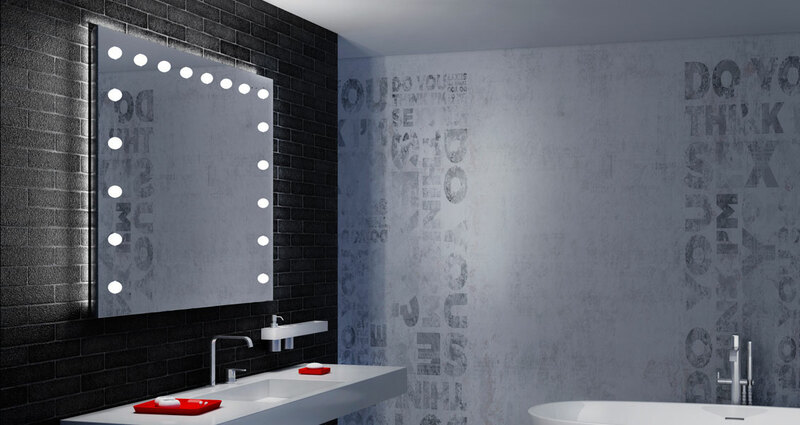 Cantoni’s lighted mirrors are impeccably stylish objects combining Italian attention to detail and production quality with a high degree of technological research. The result is a collection of products of authentic design. You flood me with light of the immense. Finally, true, authentic, daylight light in the bathroom. Every element of the Unica lighted mirrors works together to create a light emission of 4200° kelvin, a light that is enveloping and without pockets of shadow. The bathroom mirror is ideal for beauty and facial treatments. It is not just about shape any more: it is about extreme balance between appearance and function, materiality and the cleanest of lines, absolutely perfect lighting and a reflection that is true to the original. The Unica mirror takes pride of place in the centre of the bathroom, no longer as a simple accessory in the room, but as an irreplaceable and fundamental element that enables a modern bathroom to fulfil its full function. A wide range of lighted and backlit mirrors, both standard and made to measure, of a simple design or enhanced with a decorative frame: each one of which is a structural element in a space where light is the absolute protagonist. 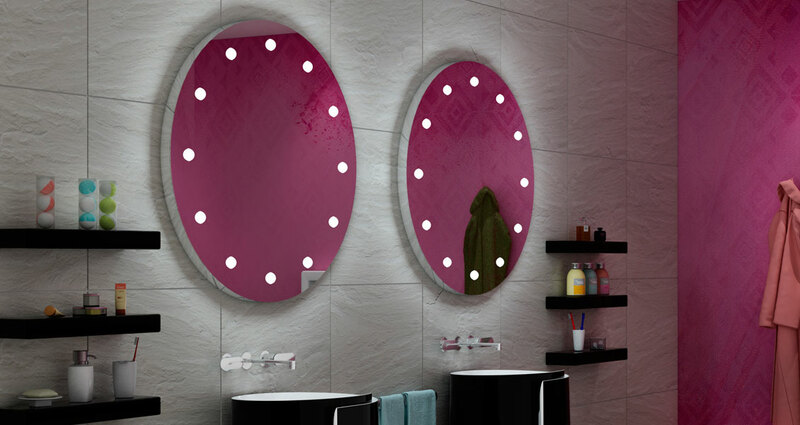 Would you like to add Unica lighted mirrors to your bathroom?